The Nigeria Customs Service two days ago apprehended two suspected smugglers caught with 200,000 live ammunition along Wawa-Babana border in Niger State. The suspects were leaving Benin Republic with a truck loaded with 200,000 cartridges to Onitsha, Anambra State when they were intercepted. Anokwara, who owned the contraband told Northern City News that he went to Benin Republic to buy the cartridges to sell to hunters and licensed gun owners in the South-East. 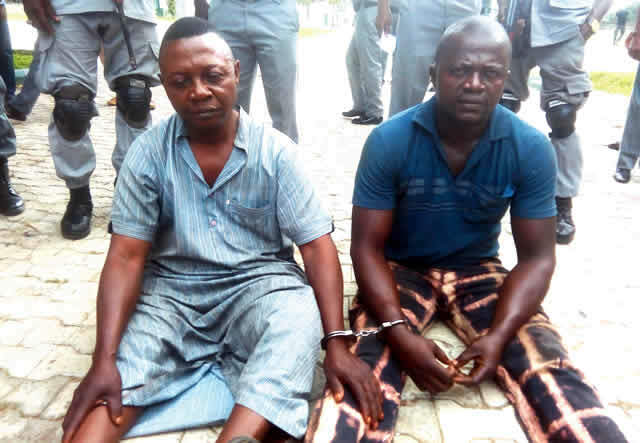 The truck driver, Dauda, told Northern City News that he did not know the content of the truck, adding that he was simply asked by the regular driver of the vehicle to assist him by driving the vehicle to Onitsha, Anambra State. “I did not know that the truck contained live ammunition, but the owner merely told me that he wanted to take the jerrycans to Onitsha,” he claimed. The Customs Area Command Controller, Benjamin Binga, said his men intercepted the truck which entered the country through the Babana border at about 3am on Monday.